Feed our porcupine, Yster, for a year! 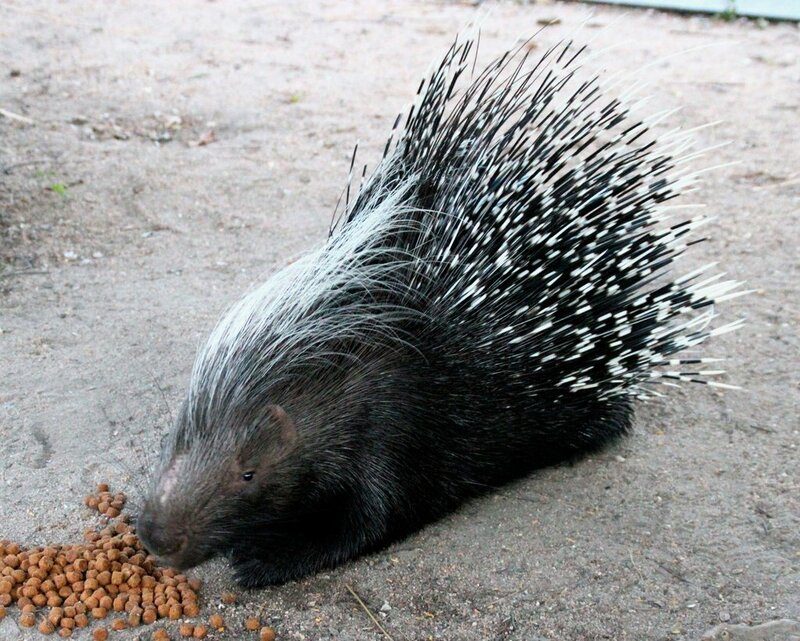 Our Cape Porcupine, Ystervark, needs food to survive. We feed him a variety of vegetables such as carrot and beetroot as well as dog food. Yster would like your help of $300 to cover his food and care for a whole year. Yster came from a family who hand-raised him, but when he got bigger he started eating the furniture! They took him to a wildlife rehabilitation centre and, after a short while, he ended up at Daktari. Because he was hand-raised, he is unsure of how to provide for himself in the wild. Although Yster is free to roam, we make him welcome on Daktari's private reserve where he is fed and protected. Because of his upbringing, Yster cannot survive in the wild without help. We have to supply him with food and a safe environment. With your support, we will be able to continue caring for him. Yster has a happy life with us, which we try to make as natural as possible. He and his friend, Spikey, visit us every evening. Yster is an excellent teaching medium for the children that join us each week. 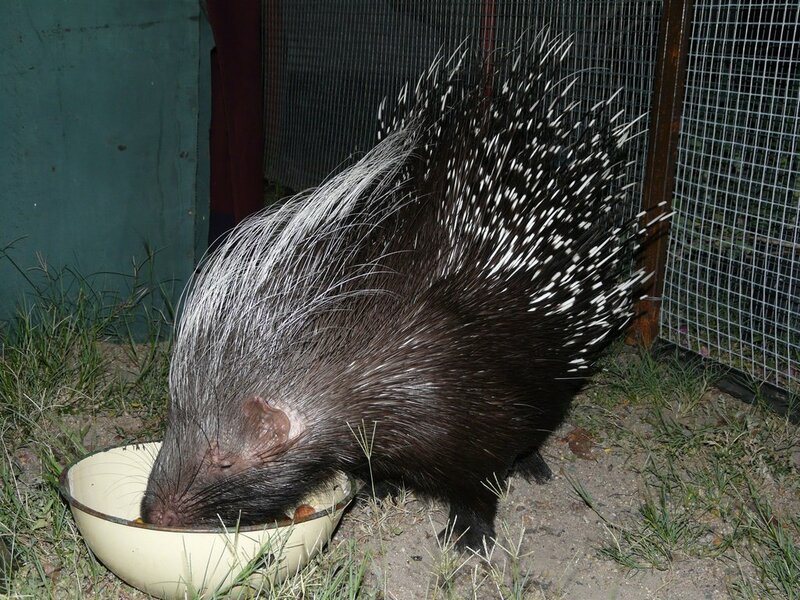 As porcupines are nocturnal creatures, they are something that many of the children have never seen before. Yster is very friendly and loveable and we hope we can continue to use him to change the attitudes of these children, many of whom will have been taught that porcupines are pests.